Swiss Alps - mountains, rocks and lake. Oeschinensee. 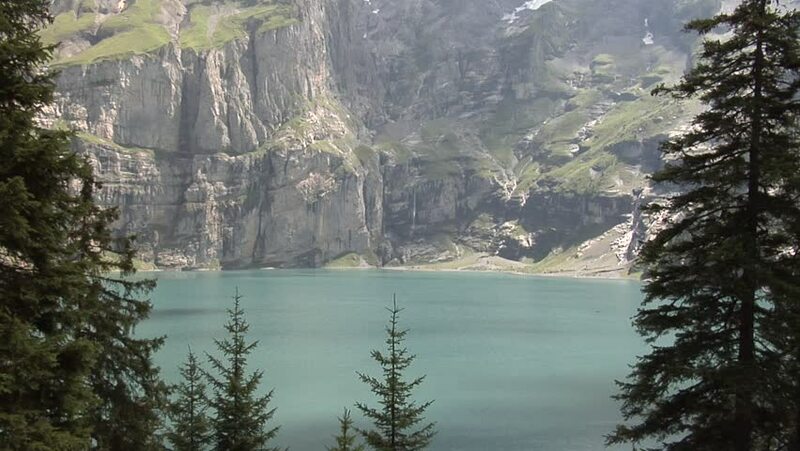 Oeschinen Lake. 4k00:11Ethereal shot of national park in the United States of America. Nature, fresh air, clean environment, mountains, lakes, rivers, trees, and unprecedented beauty all around. 4k00:10Aerial beautiful view of the river among the forest in sunny summer day. hd00:30Alaska coastline mountain pine forest and waterfall from ship. Coastal ocean shore along Alaskan inside passage and Glacier Bay. Steep mountains drop into deep fjords carved by ancient glaciers.